Often shortened in conversation to ‘link’, the hyperlink is the core concept/technology that allows the web to operate. a different part of the same document. A hyperlink is typically signified by an underline. For this reason, when formatting text for web display, avoid the use of an underline for emphasis. Instead, set content in a bold or italic/oblique variant of the body copy typeface. A link within the main content of a webpage (rather than as part of the navigation framework), is referred to as an in-text link. An in-text link should only be added when it supports a likely task, given the context and content of the current webpage. references and definitions (similar in function to footnotes/endnotes). Authors that are new to writing hypertext often fall into the trap of adding in-text links that are incidental or contrary to the purpose of the content. In example (A), the focus of the content is the meeting proceedings—the qualification and experience of the board members is incidental (it would be more appropriate to provide a link to the report). In example (B), linking to information on New Zealand wildlife is contrary to the intention of the sentence. If scanning the webpage, the user is likely to assume that the page does provide information on New Zealand wildlife. (C) Click here for The Makeawebsitehub WordPress Glossary. The glossary provides information on internet communication. For a social media image guide click here, and for the best WordPress hosting reviews click here. (D) Makeawebsitehub.com provides a number of online resources, including the WordPress Glossary. 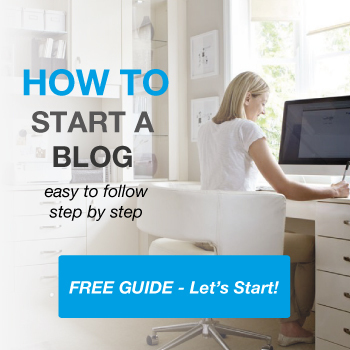 The Resources section also features a how to start a blog guide and links to useful WordPress tutorials as well as an extensive guide on how to make money online. In example (C), scanning the link text does not provide meaningful cues as to the nature of the content, instead the reader is left with a vague compulsion to ‘click here’ (×3). In example (D), the link text describes the destination content, reading only the link text the reader will be able to decide whether this content (paragraph) is likely to provide ‘what they are looking for’. In the nomenclature of information architecture, the textual content of a link is referred to as its label. Prompts such as ‘click here’ draw unnecessary attention to how the web ‘works’—its mechanics. Although a technique favoured by used car salesmen (‘Look here’), reference to the mechanics (no pun intended) reminds the view/user of the medium and interrupts the flow of the communication. links to content indexes, e.g. ; ‘all articles’, ‘action/adventure films’. Increasingly, users link to a webpage from a search engine results page, and may even be scrolled to the anchor nearest the keyword they have entered. Unless the link destination is generated programmatically, they may never have been to the top of the page, nor have come from wherever the in-page ‘return’ link is pointing to. the top of the current page. An additional issue with the terms ‘back’ and ‘forward’ is that these word are used in toolbar navigation for options that step the user through their browsing history. In particular, ‘back’ is a powerful ‘trigger’ word for less-confident users (as it is synonymous with ‘the known’). Navigation links that use trigger words are more likely to be conflated with the function of the corresponding toolbar option, i.e. the user may expect that the in-page ‘Back’ link will step them through their browsing history. Ideally use labels that clearly describe the destination, e.g. (E) The Makeawebsitehub WordPress Glossary is informative and useful. ‘The Makeawebsitehub WordPress Glossary’ is the subject, and it is described with the adjectives ‘informative’ and ‘useful’. (F) The Makeawebsitehub WordPress Glossary is informative and useful. (G) For an informative and entertaining insight into internet communication, see The Makeawebsitehub WordPress Glossary. This structure enables the reader make an informed decision to follow the hyperlink, without re-reading the sentence.